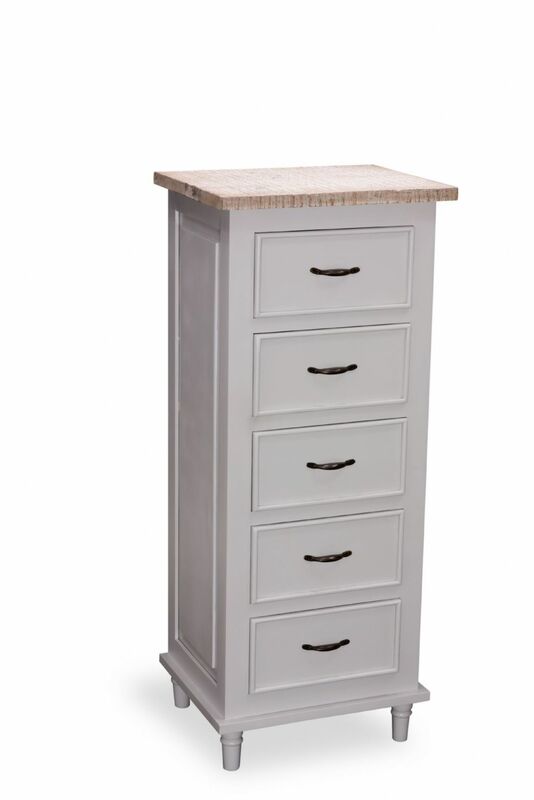 Tall unit with 5 drawers with metal handles. LARGE FURNITURE ITEM - Delivery across Cornwall only. UK delivery available, see below. It doesn't matter if you have a coastal beach house or a rural retreat, the Fowey collection will work well in many styles of home. Most pieces are available in either an off white or cool dove grey finish. Each piece in completed with a neutral whitewashed rough sawn top and some slight distressing to the main furniture paintwork. Solid wood pieces of furniture which are hand finished, with the natural tone of the circle sawn timber showing through the whitewash finish. These pieces work well as stand alone items or as a set. National delivery on larger items is available on request, with an additional fee required.